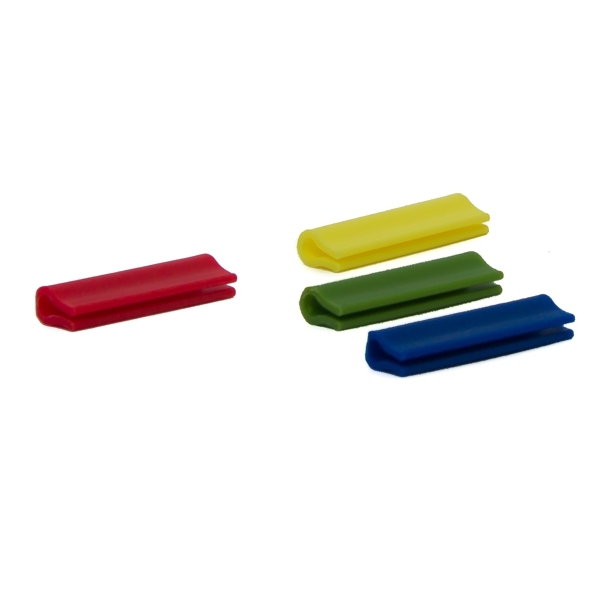 The color coded clips are used as an indicator of cloth and mop color in Rekola AddOn EVA pouches helping the cleaner to easily identify which cloth should be used at the cleaning location. The clips fit all borders of the EVA pouches. Used in conjunction with Rekola Addon EVA pouches. Color related to the functionality of the pouch on top of the front border. Widen the clip and slide on top of the EVA pouch over the metal wire inside of the pouch. The Rekola AddOn color coded clips helps to visibly identify cloths, tools, functions and areas such as bathrooms, kitchen and areas where infection prevention and control procedures are in use. One year manufacturer guarantee after purchase.